Located at the heart of EU decision making in Brussels at the premises of the Conference of Peropheral Maritime Regions (CPMR). We represent the interests of Cornwall in Brussels through policy influence, intelligence and profile. Providing timely intelligence and information on key strategic policy issues for example on the EU budget, the future of cohesion policy, the future of R&D programmes or on maritime policy. Influencing policy developments and acting as the 'Cornwall voice' in Brussels co-ordinating focussed lobbying in key areas of interest for Cornwall Council, Combined Universities in Cornwall and the Cornwall and Isles of Scilly Local Enterprise Partnership. Maximising Cornwall's engagement with EU funding opportunities. Representation and advocacy on key areas of interest such as linking Cornwall to other useful EU networks (CPMR, EURADA, ERRIN). Promoting and raising the profile of Cornwall in Europe. In the 2014-2020 EU funding programming period, Cornwall and the Isles of Scilly qualified as a Less Developed Region (LDR) which provides vital investment in jobs, local businesses, infrastructure, training and research within Cornwall. As a local authority for the only LDR in England, Cornwall Council relies on effective representation in Brussels to ensure that the opportunities presented by European funding programmes are used to the maximum benefit of the region. 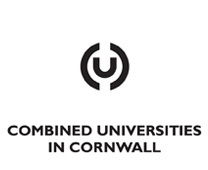 Identified partners in this framework agreement, Combined Universities in Cornwall and the Cornwall and Isles of Scilly Local Enterprise Partnership, are key stakeholders in European funding programmes and have a requirement to influence EU policy and direction whilst remaining informed of developments. On 23 June 2016, a referendum in the UK led to a vote to leave the European Union. The Cornwall Brussels Office presence will remain important while the UK is still a member of the European Union and a beneficiary of European funding. At the same time, the office provides support to Cornwall concerning future relationships with the European Union as well as helping to maintain positive relationships with European partners. 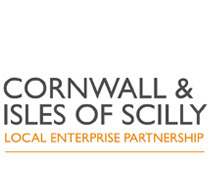 For more information on current investments in Cornwall visit the Cornwall and Isles of Scilly Growth Programme website. Katie Cavell is the Cornwall Brussels Representative representing the interests of the partnership in Europe. Katie has ten years professional experience with increasing responsibility in EU policy development and advising, advocacy, management in an international environment, administration, and research. She has a Masters Degree in European Studies and was previously head of the Brussels office for the Welsh Local Government Association. We represent the interests of a partnership comprising Cornwall Council, the Cornwall Local Enterprise Partnership and the Combined Universities in Cornwall in Brussels.